Jointless tiles – tips to make sure you do not make a mistake. Jointless – meaning how exactly? It is not true that tiles do not need to have joints between them, although the name of jointless laying or arranging may indicate this. Theoretically, thanks to a special technique of trimming the edges, that is the rectification, it would be possible to connect them without joints, but in practice it should not be done. It is recommended to use narrow, 1.5 to 2-millimetre joints. Jointless laying can therefore be considered as a conventional name, relating to minimal joints, not their absence. Jointless laying is a myth that can have serious consequences. Using 1-2 milimetre joints is a required minimum. Obsidiana Collection, Ceramika Paradyż. In order to lay a ceramic floor with minimal joints, we should buy rectified tiles. Their characteristic feature are evenly cut edges, milled at right angles, so that the tiles can perfectly fit each other. What is important, dimensions of such tiles are identical, with no discrepancies that sometimes occur with uncut plates. 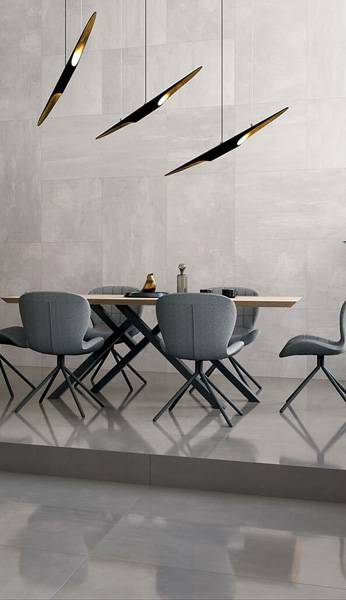 Thanks to these features, rectified tiles have gained many supporters – when laid on a floor or a wall, they create almost uniform surface, with very fine lines of joints. 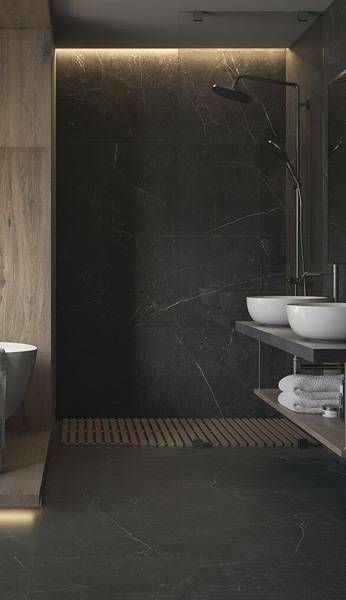 Minimal joints strengthen the impression of a single, natural stone that fits perfectly e.g. a warm, classic kitchen. Trakt tiles collection, Ceramika Paradyż. What are the joints for? Ceramic tiles are subject to a so-called thermal expansion, that is minimal reactions to changes of the temperature. Tile adhesives and the basis (e.g. concrete) have different thermal expansion coefficients. Therefore, stresses can occur when the temperature of the floor changes and that is why there is a need for expansion joints finished with grout. These small gaps prevent any possible cracking of the tiles or their detaching from the basis. That is why jointless inlaying can be treated as a construction malpractice. In the case of tiles imitating wood, minimal joints increase the resemblance to wooden floors. Baima Collection, Ceramika Paradyż. Laying tiles with small gaps also prevents problems in case of mechanical damage to one of them. If the tiles were indeed laid out without joints, it would not have been possible to safely remove one of them. 1.5 to 2-millimetre gaps are enough for safely replacing a tile without damaging the other ones. 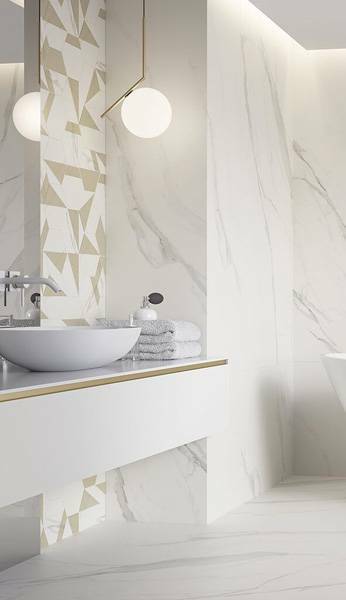 Laying ceramic tiles with very narrow joints gives an excellent visual effect, as it creates a beautiful, decorative, uniform lining. 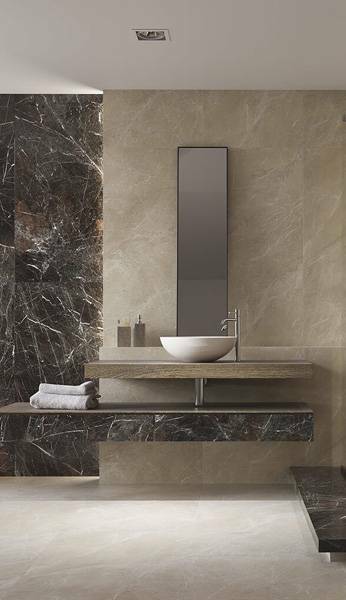 Using this type of arrangement is especially important for large tiles – 60 × 60 cm or 75 × 75 cm (e.g. the Optimal collection), when we especially want to achieve a monolithic, undifferentiated surface of a wall or floor. Large 75 × 75 cm Optimal ceramic tiles were used in the arrangement of a home spa. The larger the tiles, the better they look with very narrow joints. Optimal tiles collection, Ceramika Paradyż. More inspirations for using tiles with very narrow joints can be found at www.paradyz.com.